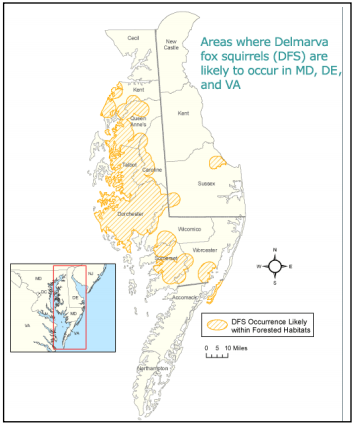 Historically, the squirrel lived throughout the Delmarva Peninsula, but habitat loss due to logging of forests for agriculture and short-rotation timber production as well as over-hunting lead to steep population declines. Since first being listed as endangered in 1967, the squirrel’s range has increased from four counties to 10, with a population of as many as 20,000 squirrels inhabiting 28 percent of the Delmarva Peninsula, primarily in Maryland. The U.S. Fish and Wildlife Service will officially remove the squirrel from the list of Threatened and Endangered Wildlife under the Endangered Species Act next month. The US Department of the Interior says the Delmarva Peninsula fox squirrel, one of the first species listed as endangered in the US nearly fifty years ago, is no longer at risk of going extinct. The U.S. Fish and Wildlife Service (FWS), which worked together with states and landowners on conservation efforts to protect the species, will officially remove the squirrel from the list of Threatened and Endangered Wildlife under the Endangered Species Act (ESA) next month, according to a statement. 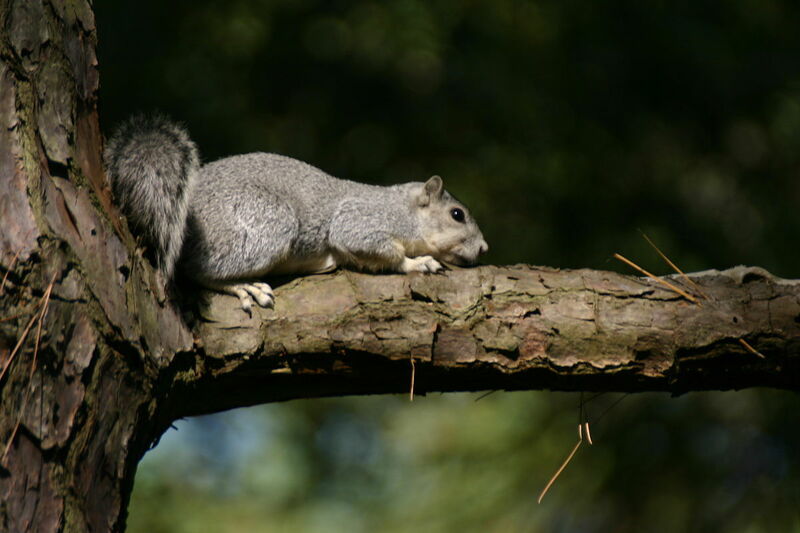 The Delmarva fox squirrel (Sciurus niger cinereus) joins more than 30 other species that have been de-listed under the ESA after their populations recovered, including the bald eagle, American alligator and peregrine falcon. The ESA has been so successful in conserving imperiled wildlife, the FWS said, that it has prevented the loss of nearly every species that has been listed as threatened or endangered since 1973. 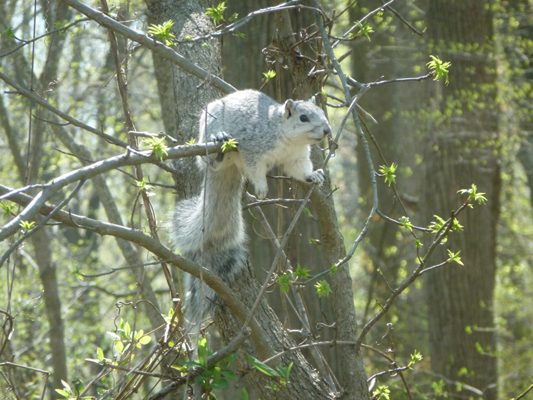 The largest of all the tree squirrels, the Delmarva fox squirrel has silver to whitish-gray fur, an unusually fluffy tail and white belly. It is twice the size of the common gray squirrel. Mature adults can be as big as 30 inches — half of that being tail — and weigh up to 3 pounds. Delmarva Fox Squirrel. Photo by Guy Willey. Historically, the fox squirrel lived throughout the Delmarva Peninsula, formed by portions of Delaware, Maryland, and Virginia. Habitat loss due to logging of forests for agriculture and short-rotation timber production as well as over-hunting at the turn of the 20th century lead to a steep decline in the fox squirrel’s population numbers. By the time it was listed along with 77 other species under the Endangered Species Preservation Act in 1967 (a predecessor of the ESA, which was enacted six years later), the squirrel’s distribution had been reduced to less than 10 percent of its original range. The recovery of the Delmarva fox squirrel is being hailed as not only evidence that the Endangered Species Act works, but as a triumph of collaborative conservation efforts between federal and state governments, private landowners and civil society. Via U.S. Fish & Wildlife Service. “The fox squirrel’s return to this area, rich with farmland and forest, marks not only a major win for conservationists and landowners, but also represents the latest in a string of success stories that demonstrate the Endangered Species Act’s effectiveness,” Michael Bean, the Interior Department’s Principal Deputy Assistant Secretary for Fish and Wildlife and Parks, said in announcing that the squirrel would be de-listed from the ESA. 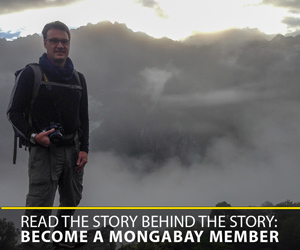 Recovery efforts focused on rehabilitating the population size and distribution of the species through a reintroduction program. More than 80 percent of the squirrel’s habitat is on private land, but it has proven capable of thriving on rural, working landscapes where mature forests mix with agricultural fields. Since being listed as endangered, the squirrel’s range has increased from four counties to 10, with a population of as many as 20,000 squirrels inhabiting 28 percent of the Delmarva Peninsula, primarily in Maryland. A monitoring plan has been devised to ensure the squirrel remains secure from extinction, the FWS says. “We are proud to be a major partner in the recovery of the Delmarva fox squirrel after 40 years of conservation efforts,” Maryland Department of Natural Resources Secretary Mark Belton said in a statement. Delmarva fox squirrel. Photo by Brian Gratwicke / Wikimedia Commons.